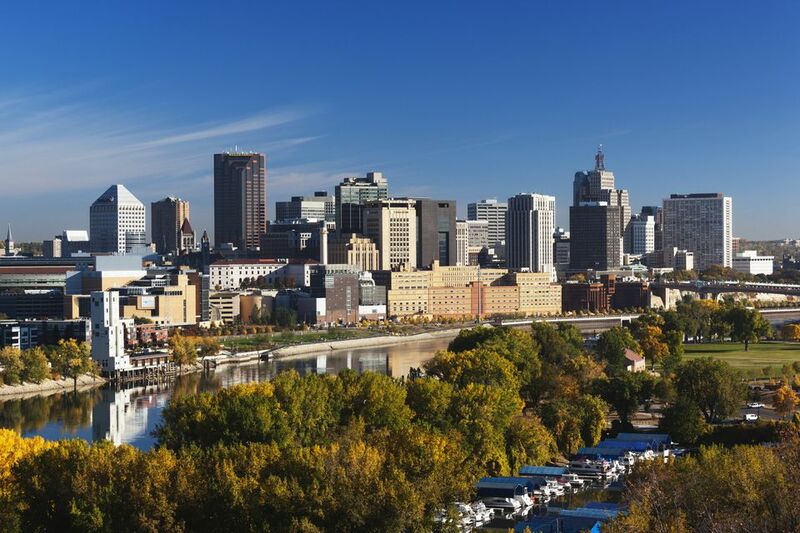 In Minnesota, MEA Weekend is the colloquial name for the no-school days, and the long weekend at the end of October, created by the Education Minnesota Professional Conferences. The Education Minnesota union holds a two-day conference in St. Paul in the third weekend of October. Classes are canceled for students at schools and colleges across Minnesota, to give teachers the opportunity to attend the conference. Why isn't it called MEA Weekend anymore? Education Minnesota was formed from a 1997 merger between the Minnesota Educators Association, MEA, and Minnesota Federation of Teachers. Even though it's obsolete, the name 'MEA Weekend' has stuck with many families and schools. MEA Weekend is always on a Thursday and Friday in late October. Some schools also cancel classes for students on Wednesday or take a half-day on Wednesday afternoon. Apple orchards are open, and if it's a good season, there should still be plenty of apples to pick. Local farms and apple orchards like Minnetonka Orchards, Afton Apple Orchards, and Apple Jack Orchards have apples, fresh produce, and lots of kid-friendly entertainment like play areas, tractor rides, and farm animals. If apple picking season ends early, you can visit a pumpkin patch and go pumpkin picking instead. MEA is perfectly timed for this, as it is right before Halloween. Take your kids to pick pumpkins, go on a hayride, climb a hay mountain, pet farm animals, get lost in corn mazes, and more fall fun. Many pumpkin patches arrange special Halloween entertainment for MEA weekend and Halloween weekend. Spent all your cash on back-to-school supplies? You can still have fun with your kids for free. Go to a museum, visit the zoo, movies, concerts, and more. And for low-budget children's entertainment, there's art and craft activities, indoor playrooms for rainy days, theater, at places like In the Heart of the Beast Puppet Workshops or The Minnesota Children's Museum. If your kids love Halloween, there are plenty of Halloween events this weekend all around the Twin Cities. See the annual BareBones Halloween Extravaganza Puppet Show at Hidden Falls Park in St. Paul. This isn't your usual puppet show—monsters, pyrotechnics, circus tricks, live music, and dancing are all part of the show. The show is free, but donations are gratefully accepted. You can also pretend it's still summer with a trip to a water park. You don't need to make the journey to the Wisconsin Dells—use the money you save on gas and hotels to go to one of the indoor water parks right in town. Whether you want to go to a huge water park like the one at the Mall of America, or one at a local community pool, there are options for everyone. Over MEA Weekend, it's popular to go north to a cabin in upper Minnesota. The weather may be a bit colder than in the Twin Cities, but the fall foliage and nature escape is well worth the trip. Duluth is a nearby family-friendly destination that sees a surprising amount of tourists. Here, you can check out the famous lift bridge, Canal Park, aquarium, railroad museum, and zoo—plenty to keep the kids busy all weekend. And even further north, if you make the trek all the way to Grand Marais, almost to the Canadian border, you can visit the annual Moose Madness Festival, where the whole town is taken over by moose-themed activities from October 19-22.